They say soccer is the most watched sport in the world and has been the most publicized sport since back at the turn of the century in the early 1900’s. Such superstars like Pelè, Maradona, Beckenbauer, Ronaldo, Weah and even Beckham has graced the world with brilliance on and off the field and left a legacy for young bidding stars to emerge all they way at the top to center stage. There is a humble little big man in the heart of the Motherland of Africa, West Africa to be exact in Ghana, that has caught the attention of Matik Magazine. His name is Cephas Kwegyir, who has the heart of a lion and is eager to get an opportunity to play professionally in the best leagues that will bless him with the chance to be the next superstar. Cephas Kwegyir is Coached by Jerry Abbey for a team called Mighty River. Cephas has been playing competitively since he was 9 years old and at a tender age of 16 he has been training hard for an opportunity. 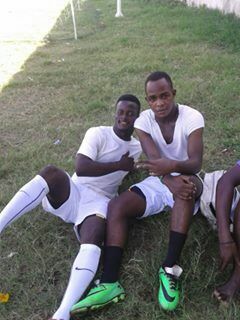 Cephas is a born leader that has been elected Captain on all of the teams he has played on since U12. Cephas is no doubt an extraordinary player with lots of skills to add to his arsenal. 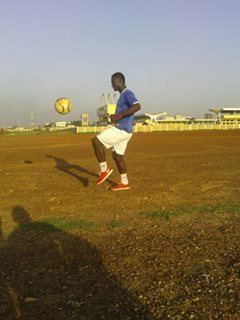 Cephas is naturally left footed but on odd occasions can kick the ball with precision with both feet. This ambidextrous young star is on the verge of becoming a superstar and has been raised with absolute discipline by his parents. His Mother Esther Torto and Father Richard Kwegyir have instilled in him the values that every child needs to make it out yhe in the world and has made his parents very proud. So now let’s get to know more about Cephas and how he has developed his skills in the last few years to reach this point. MM: Hello Cephas, how are you? CK: I’m fine thank you. MM: How well do you speak English? MM: Good. Your Pastor Albright tells me that you are a fine gentleman. Can you describe your style of play in your words? CK: Yes, I tea in really hard as much times as I can and even train twice a day. MM: Would you say that you are a great player? CK: I don’t know that but what I can tell you is that I work hard everyday. Whenever I play a game, I don’t feel too happy when I don’t score in a match. MM: Wow, I have never heard that response before from such a young player like yourself. Do you have a girlfriend? CK: No, I don’t have a girlfriend sir. My focus is on the game of soccer, and that’s why I train 2 times a day regularly. MM: Can you tell us what makes you a special player? CK: What makes me special on the field is my distribution of passes, scoring expectedly and unexpectedly. MM: Who would you say is your favourite football team? CK: My favourite team is AC Milan F.C. MM: Who would you say is your favorite player out there in the world? CK: My favorite player is number 10 on Real Madrid James Rodriguez. MM: What is your favourite color? CK: My favorite color is blue and white. MM: How would you describe yourself as a person? CK: On the field I am hard but outside of the field I am very shy. MM: Interesting, are you a spiritual person, do you go to church? CK: Yes I believe in God and I go to church. MM: Do you really have the heart of a lion? CK: Yes, I really have the heart of a lion and I can play everywhere on the field. MM: When is your birthday? CK: My birthday is November 30th, 1998. MM: What is you number one dream or focus? 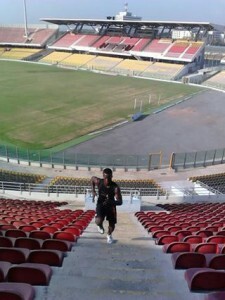 CK: It is to play for Ghana’s National Team and hopefully win a medal one day in the Olympics, maybe. But I would love to play in Europe. MM: Well we at the Matik Magazine are almost sure you will be playing in Europe. Is there anything you want to say to the people who is reading about you that don’t know you to much? CK: Well, I thank you for having me in your magazine and I’m going to keep working hard and keep praying. 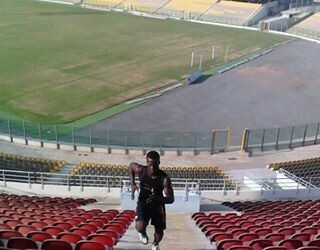 Well that about does it with Cephas Kwegyir and getting a little insight on the fastest rising football star in Africa. On behalf of the Matik Magazine, we want to let you know that you are on the right track and thank you for taking time out to visit with us in your busy schedule with Coach Jerry Abbey. We wish you continued success because from what we see at this level you are very much as advertised. When you become the star you want to be, let’s sit down and do it again. It was our pleasure. 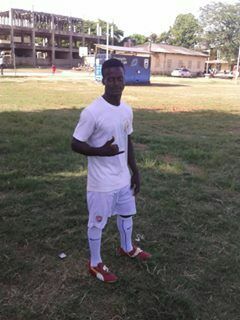 So there you have it, Cephas Kwegyir with Mighty River FC. He is Coached by a young and upcoming star in his own right Jerry Abbey, who will sit down with the Matik Magazine in a couple of weeks to give us his insight on the development of his players at Mighty River FC. Please remember the Matik Magazine would be nothing without the people. Thank you and keep it Matik!